April has been extremely busy in the Condo Association world. New legislation in Florida that aims to crack down on their Condo shenanigans, but the legislation may not be the panacea everyone is hoping for. To further illustrate the craziness of Florida, one Condo Association there is currently battling an Owner of 40 units over competing valet services. Finally, Los Angeles Condo buyers realize that the reason their unit was heavily discounted was due to a noisy neighbor. Enjoy the April 2017 Condo Association news! Florida is always front and center in every Condo debate due to their extensive history of fraud and general craziness. Last month, Florida was in the news for a new law that would toughen various sanctions. While the law brings in some needed reforms, it may go too far and actually scare off potential Board members. This article dives deeper into the debate of whether this proposed law will help or hurt Condo Associations. While everyone is in agreement that Condo crimes need to be punished, some in the state believe the legislation needs more clarification and may go too far. In particular, there is concern that the law comes down too hard on Condo directors who may make honest mistakes. Opponents say this is not the case. What the article fails to point out is that adding new ways for Condo directors to be personally liable for crimes is a slippery slope. These changes may enable frivolous lawsuits from Owners under the new system. For an innocent Board member, mounting a defense means either legal costs either for the Association or themselves directly (or both), and a substantial time sink of dealing with those lawsuits. As Condo politics can get very petty, frivolous lawsuits are well within reality. This has the potential to intimidate people into not running for Board member positions, which would reduce the pool of candidates and further restrict Condo governance. This is a challenging issue, and Florida’s attempts to find a happy medium are something everyone in the Condo world should continue to follow. 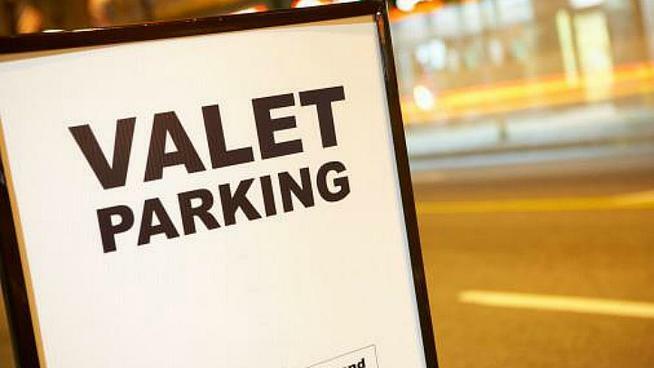 Who knew valet parking was so competitive in a Condo Association? Does your Condo Association have a single Owner who has control of 40 units and then started up a valet service (in breach of the Condo declaration)? No? Probably because you’re not in Florida. This scenario is exactly what happened in a Miami Beach Condo Association. A single Owner has control of 40 of the 300 units, so while not a majority, it is a substantial amount. Interestingly, the Association as a whole does have valet services, but the minority Owner of 40 units wants to use their own valet service and is currently in a protracted legal battle with the rest of the Association. While these sorts of instances might be rare for most Condo Associations, they do underscore the importance of trying to work with powerful Owners as opposed to resorting to legal battles. Legal battles end up being costly for everyone, and if you know you’re up against someone with deep pockets, try to find a resolution if at all possible. Does a condo seller have an obligation to inform a buyer about a noisy neighbor? This is a fascinating Q&A question from the LA Times Real Estate section. A couple purchased a Condo property that was underpriced compared to other units in the building. Nothing in the disclosures indicated anything was wrong. Upon moving in, they found out they had an extremely noisy and disruptive neighbor who suffered from Tourette’s syndrome. While the buyers are compassionate about the neighbor’s medical condition, they also are victims of sleepless nights. Apparently there were numerous complaints against the neighbor which were not disclosed. The columnist noted that the situation is extremely complicated. Per the law, the neighbor is disabled, and thus the noise complaints cannot be acted upon due to reasonable accommodation. Although the information was not disclosed, there is little recourse for the couple against the sellers, and none against the Condo Association. Although not addressed in the article specifically, one wonders if the lack of disclosure of the issue is due to the reasonable accommodation factor. Disclosures might have been viewed as a form of discrimination. Regardless, the buyers options are quite limited. One important suggestion noted by the column is that any prospective buyer should spend some time at the unit and community multiple times – preferably at different times of day – to identify any issues that might be concealed or unnoted. This is great advice for all buyers. It is important to see what a community is like at day and night and during rush hour. Identify if there are any sources of noise you might not anticipate, like trains, planes, or bus lines (or neighbors with Tourette’s). My solution would be to push for soundproofing insulation to be installed in both the unit of the disabled individual and in the individually adjacent units. Offer to share the cost among the neighboring units for installation. As the buyers note, the unit was underpriced, so they should have some budget to put towards improving the situation. That’s all for the April 2017 Condo Association News! Did you know that you can get even more news articles by signing up for our mailing list? Mailing list subscribers get monthly bonus news stories and analysis. Join the list today!